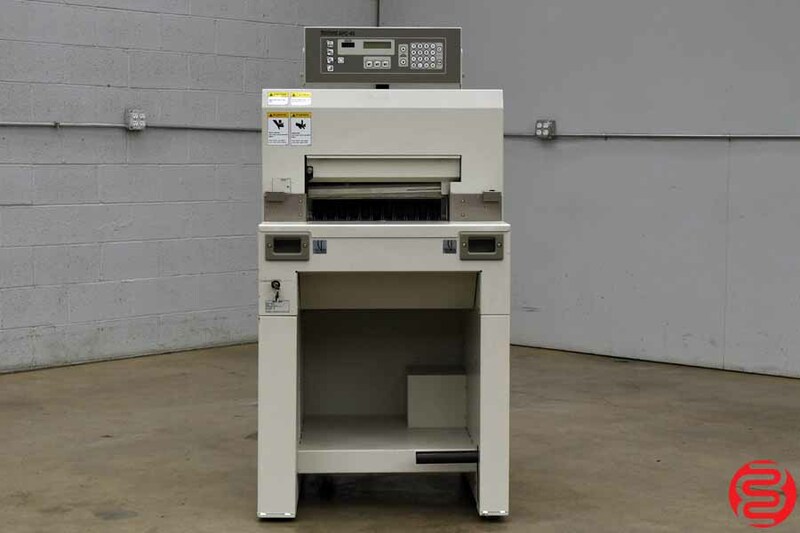 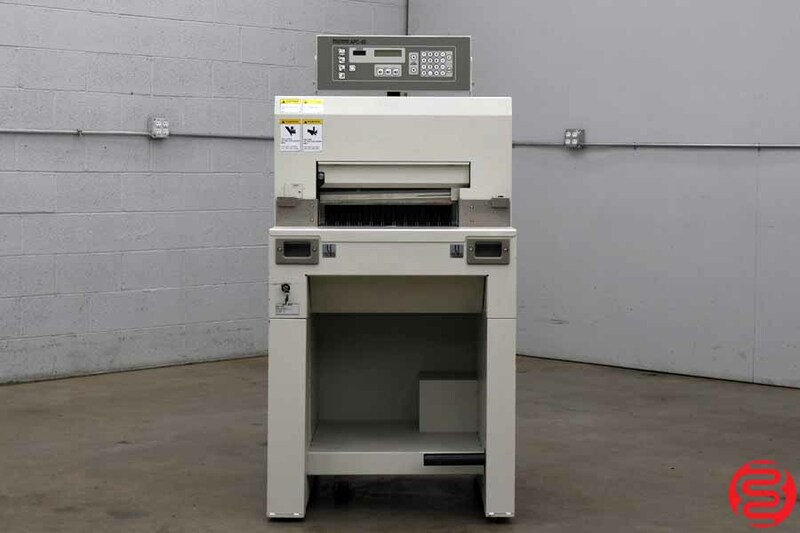 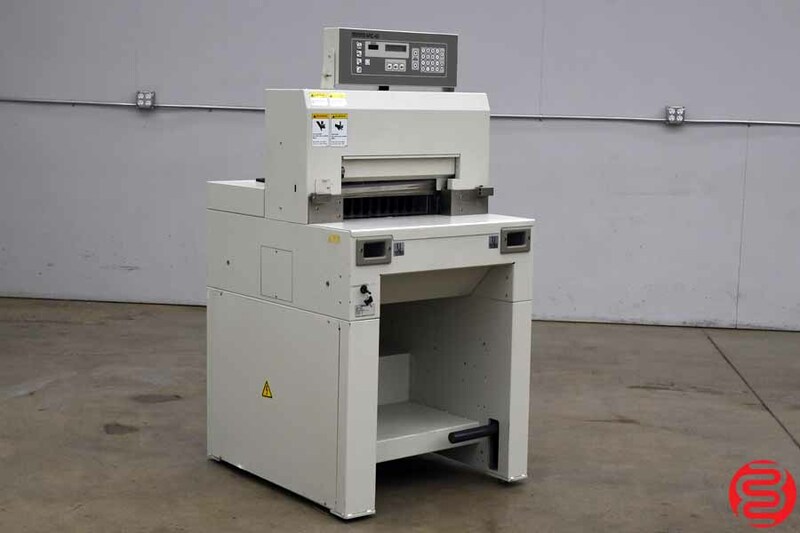 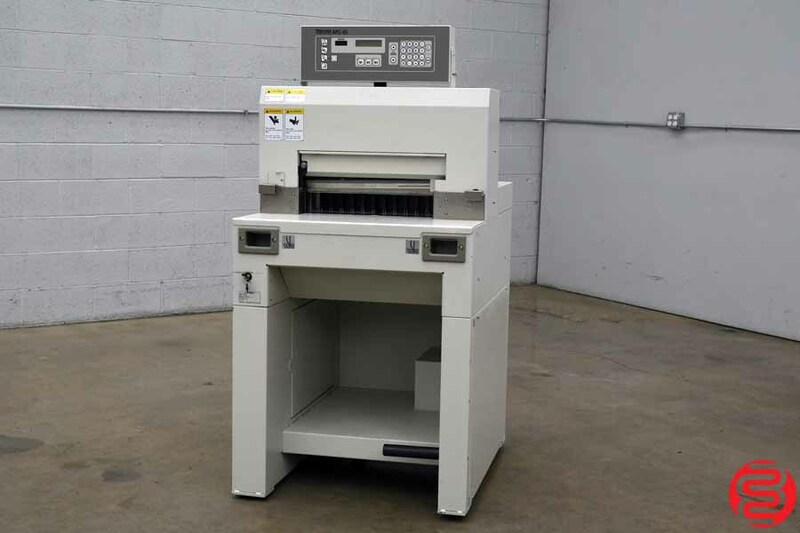 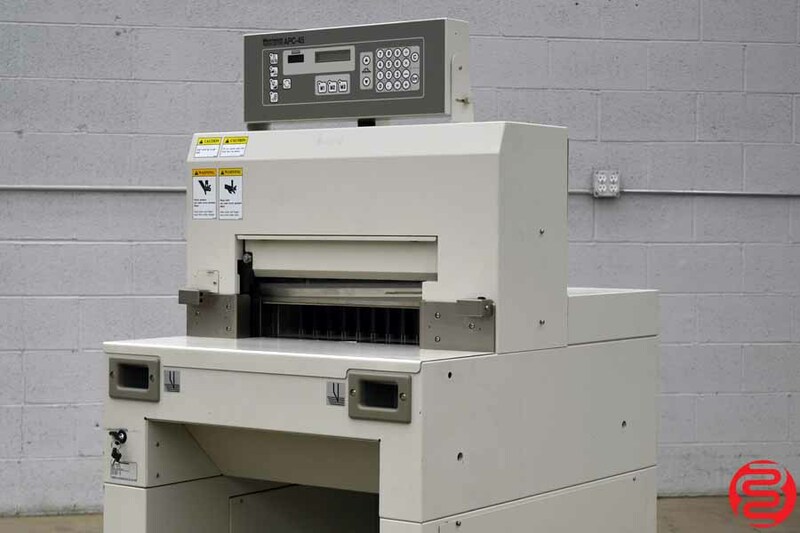 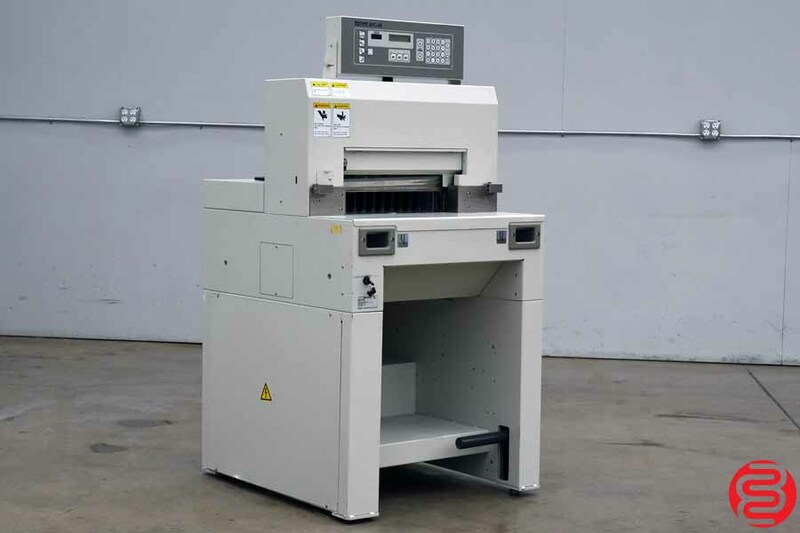 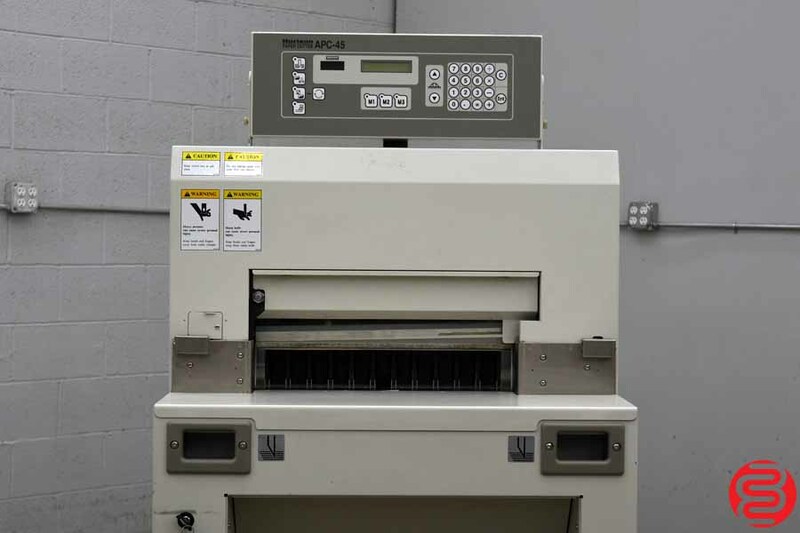 The APC-45 Electric Paper Cutter from Standard provides advanced programming and cutting capabilities that is ideal for a broad range of copy and printing environments. 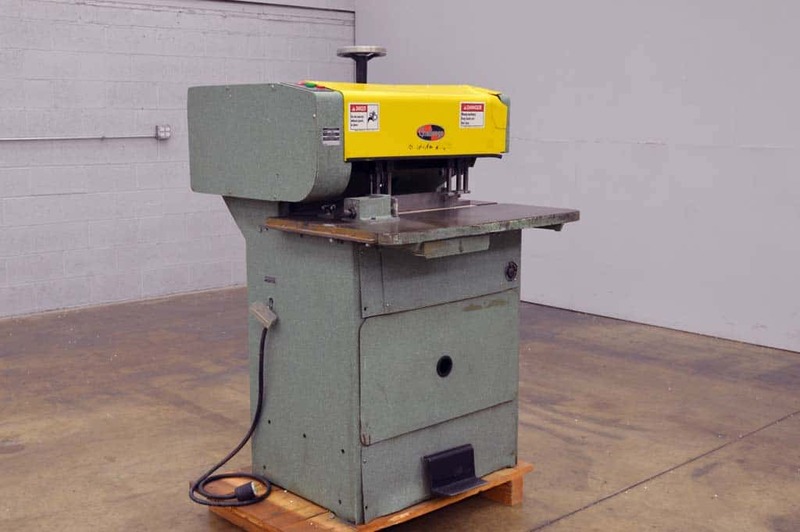 Precise cuts are easily and safely performed with dual push-button cut activation controls. 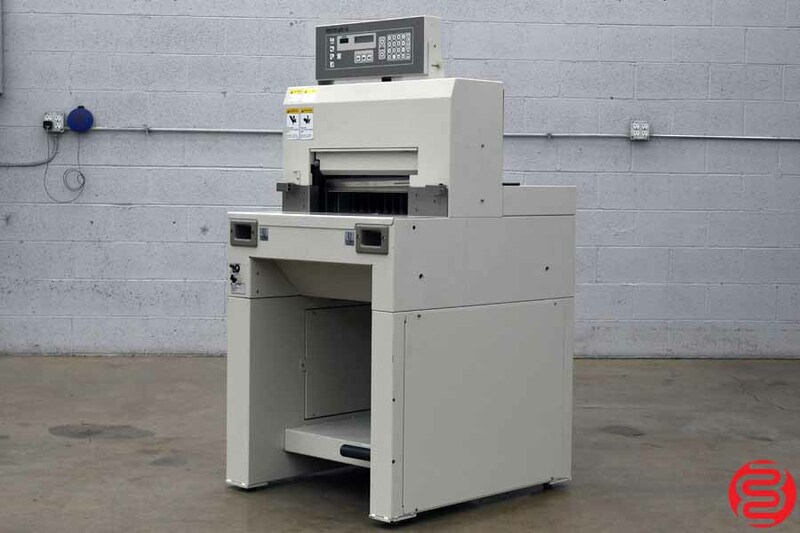 Increased productivity and convenience is realized with an automatic paper clamp, powered back-gauge and versatile program capability. 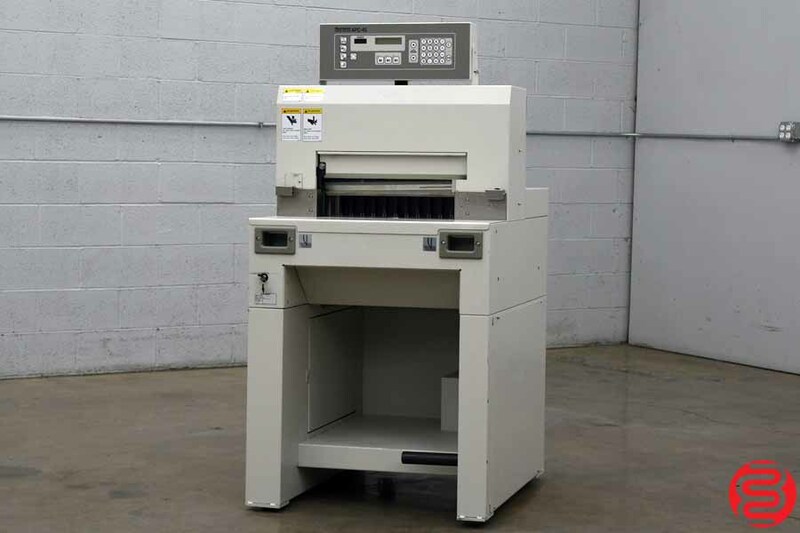 Exceptionally simple to operate, the APC-45 delivers state-of-the-art features in a compact footprint. 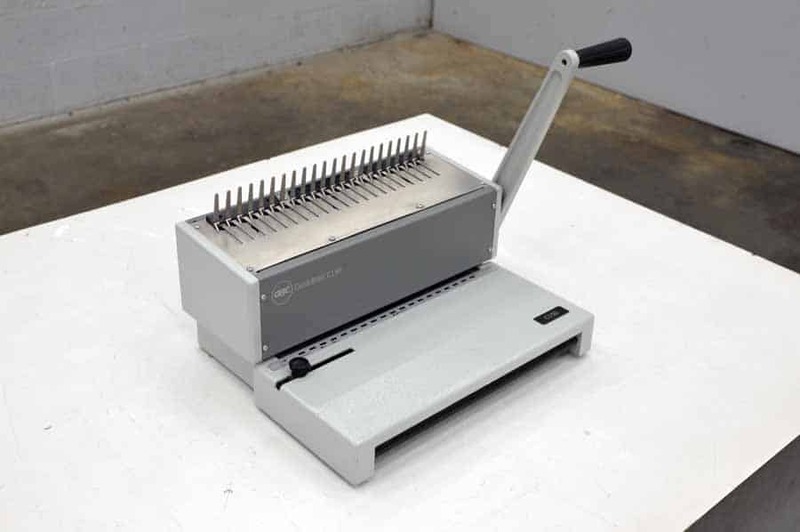 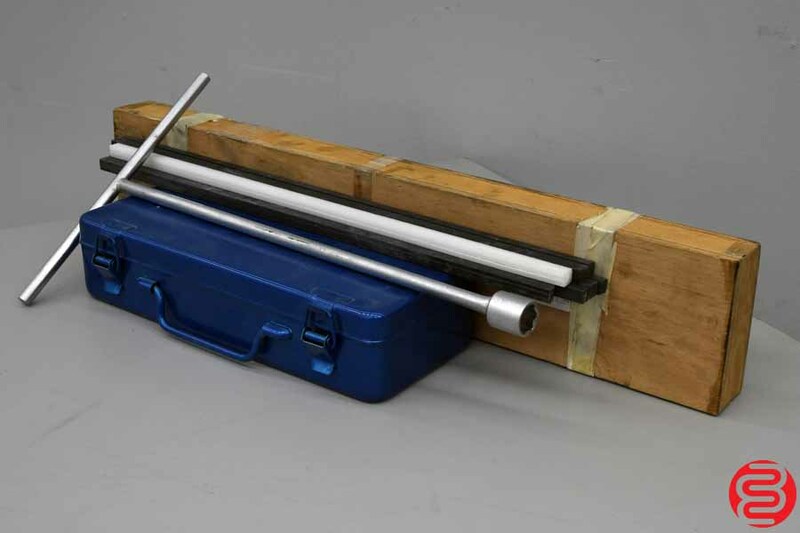 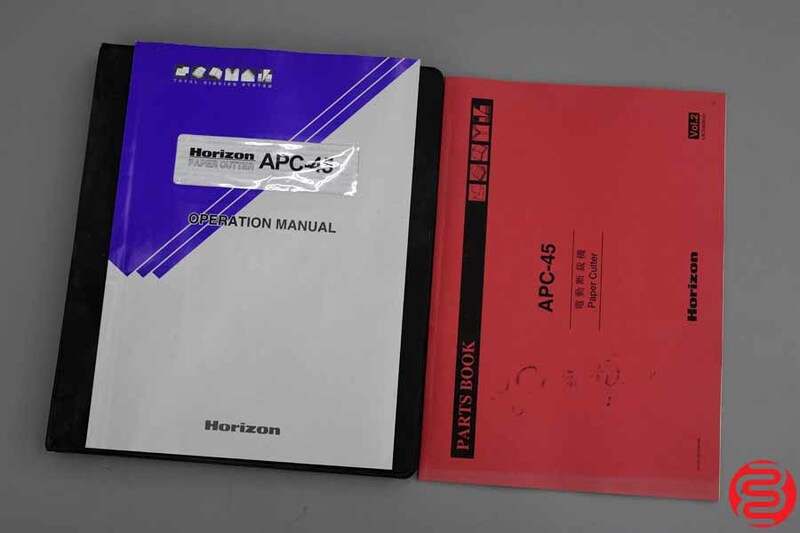 The APC-45 Electric Paper Cutter is a highly productive cutter with a unique combination of features, including powerful programming capabilities, automatic clamping, a powered back-gauge and high quality design and construction. 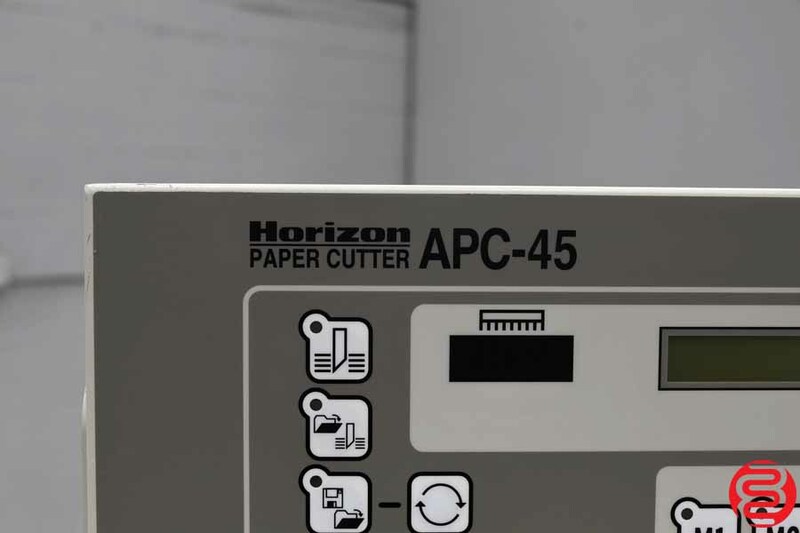 A compact and efficient design adds to the APC-45’s flexibility to fit in locations where other cutters may not, while also maximizing cutting capacity to a full 17.7″ width and depth, and 2.3″ in cutting height. 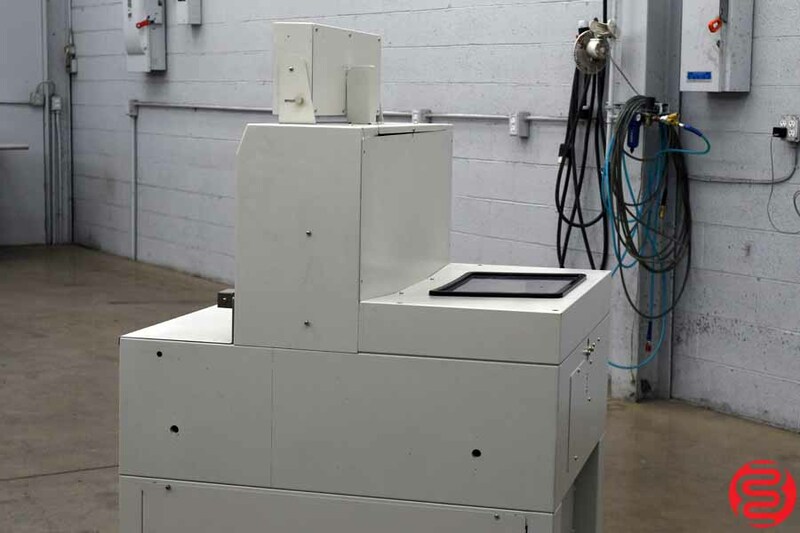 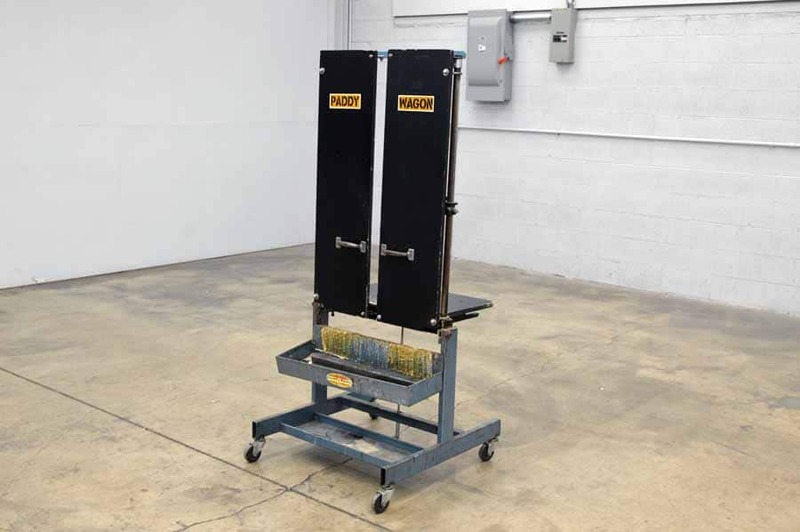 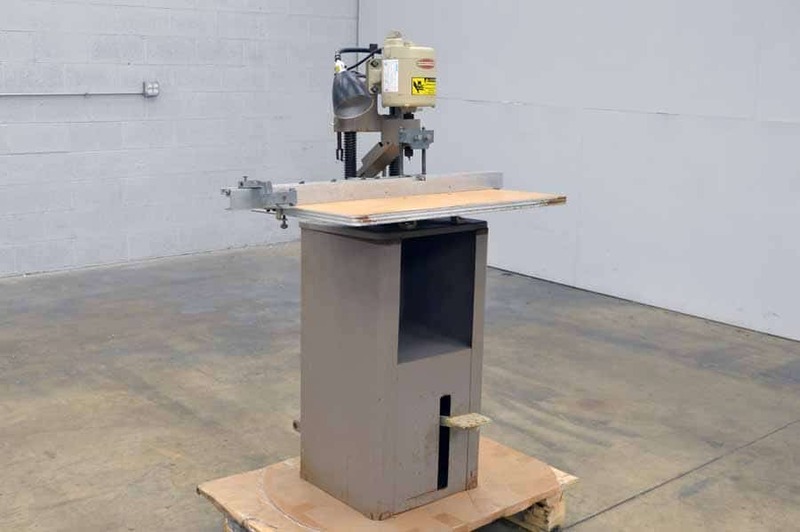 Further versatility is demonstrated by its ability to perform bleed trims on stock sizes up to 12″ x 18″. 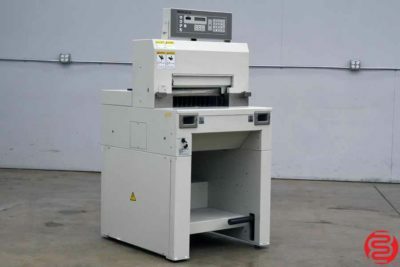 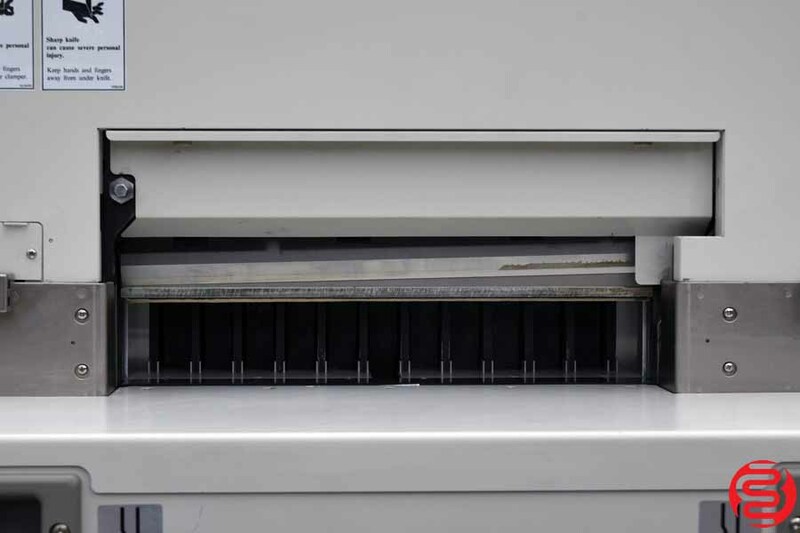 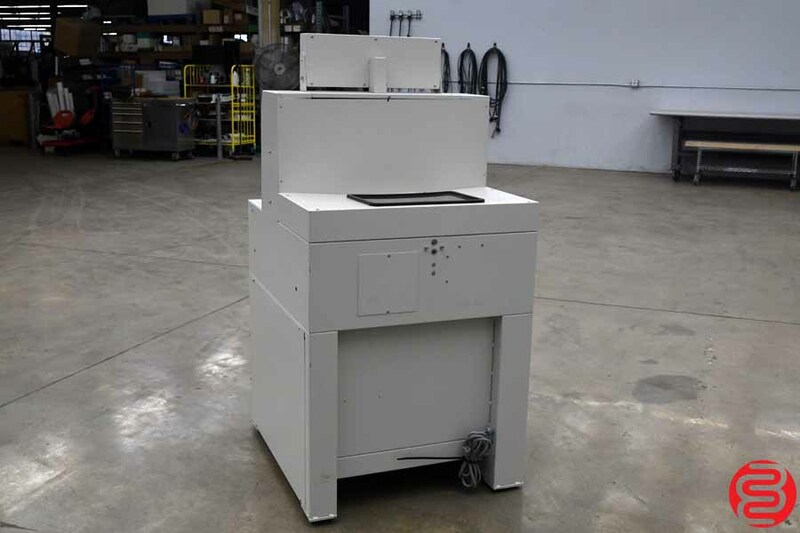 The APC-45 will meet the demands of the modern print environment with its ease of operation, accuracy and long-term reliability. 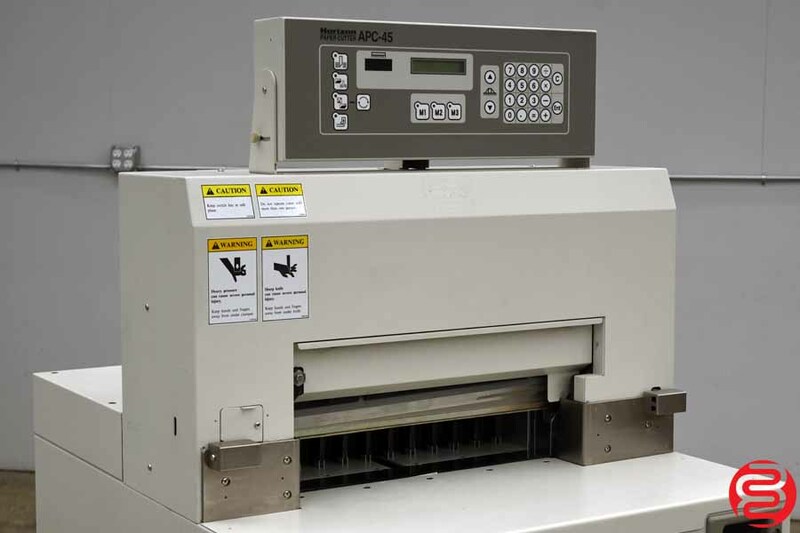 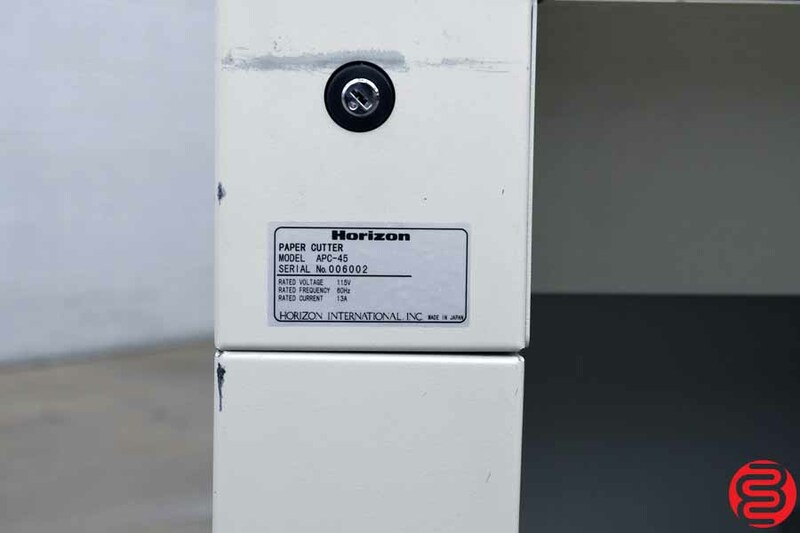 Digital Control Panel: An intuitive digital control panel and LCD readout allows the operator to input a precise cut dimension, accurate to 0.005″ quickly and accurately. 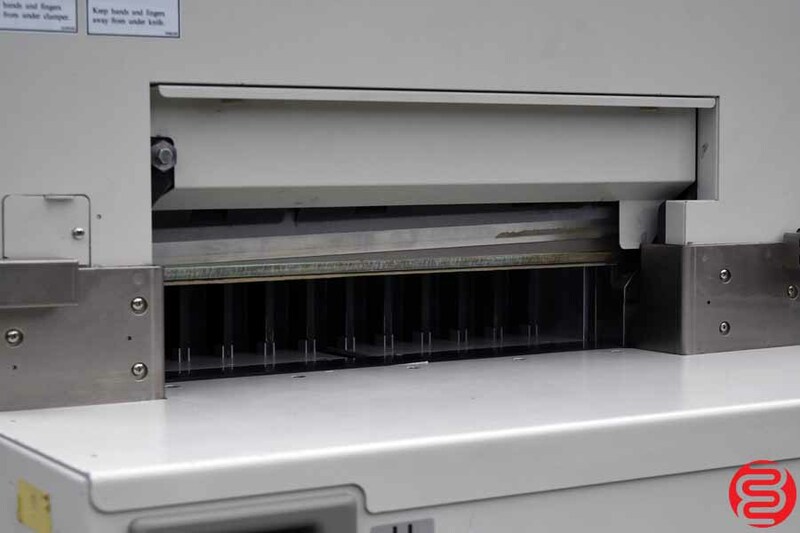 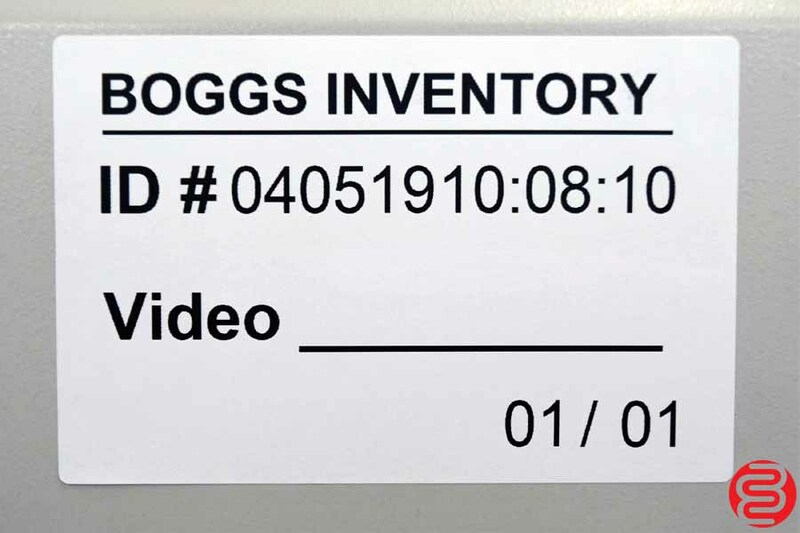 Control Panel: The APC-45’s eye level mounted control panel has an adjustable viewing angle and is ideally located for optimal viewing and programming ease.